Microsoft Power BI is a collection of online services and features that enables you to find and visualize data, share discoveries, and collaborate in intuitive new ways in the form of reports and dashboards. The CloudFronts Power BI team has deep expertise delivering complex analytics requirements on the Power BI platform. Our team has experience working across various industries from Manufacturing to Services and with clients around the globe. 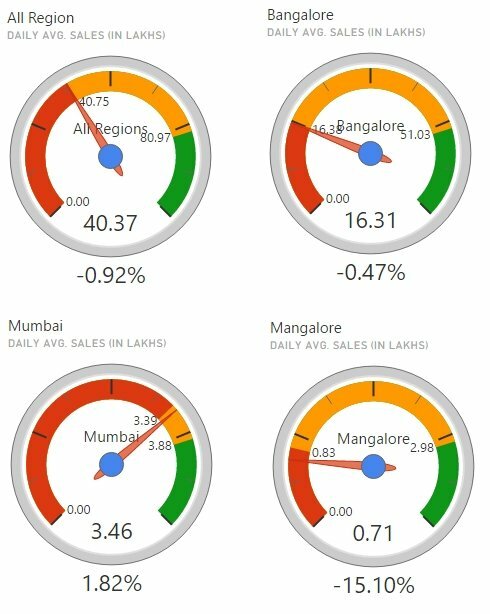 Check out this to know how we deployed robust analytics on the Power BI platform for Magic Bus. Enhance your Power BI Dashboards with custom visuals. The CloudFronts team has created several custom visuals for specific client requirements. One example is our DialGauge custom visual which is used by several customers around the world. You can read more about this in this Microsoft blog. You can read more about Power BI Embedded here.